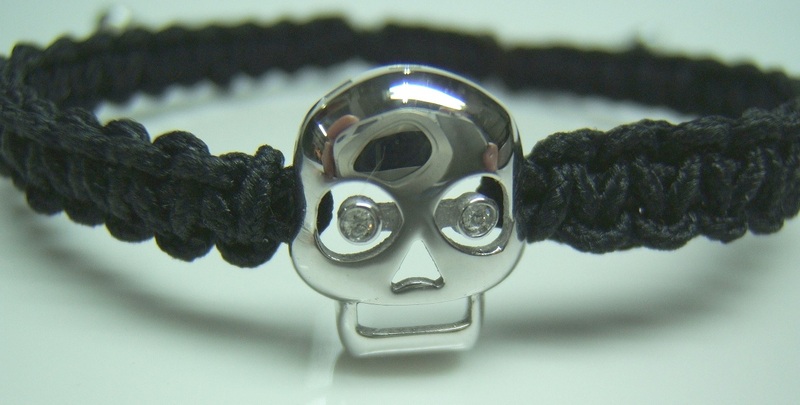 Bracelet of macrame with a motif of a skull in white gold. The eyes are two diamonds size brillantre of 0.01 carats. Closure with loose knot adjustable to the wrist.